This summer, it’s time to put away the classic comfy black dress and add some colour to your wardrobe. As daunting as that may sound to some of us, the catwalk chicas have inspired some changes and we thought we’d share these tasteful tactics with you. Why not add a splash of colour and customise your everyday outfit with an elegant and classy pale yellow blazer from Miss Selfridge? This Petite Yellow Blazer is a tailor-fit, light necessity to accompany every outfit, and at just £39.00, it’s too hard to resist. Wide Leg, Flares, Culottes or Tailored? 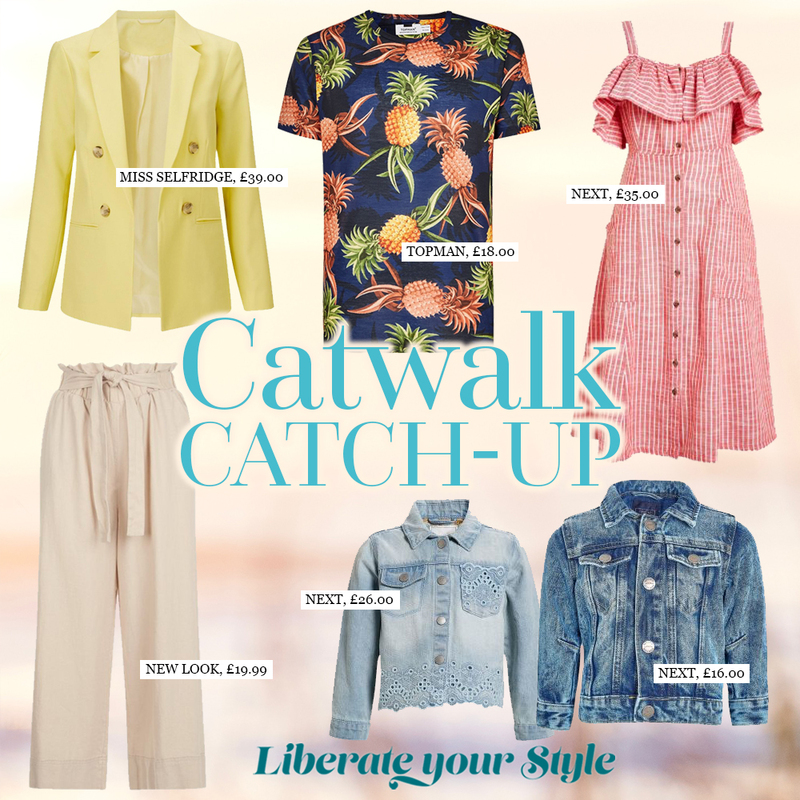 Our Fashion Shows saw that trousers are a firm favourite this summer, so why choose just one style when New Look have brought out a new collection of trousers in every style for summer? Our favourite pair is the Stone Linen Blend Tie Waist Cropped Trousers, a perfect fit for the ladies with busy lives who want to stay cool in the heat, but stylish in the streets. This pair benefits a tailored waistline, and who could say no when they’re just £19.99? Form an orderly queue ladies! We all know the real struggle is with kids and their jackets – and how to convince them that they need a jacket when the temperature cools in the evening, but one that doesn’t compromise their outfit. This summer, splash out on a new denim jacket and keep your little one in with the trend with Next at The Liberty. For the girls, they have the adorable Light Blue Broderie Jacket, which is a non-restricting, light, button-down denim jacket for only £26.00. For the boys, Next have a semi-stone-washed Denim Jacket at only £16.00, perfect for every cool dude going abroad or even just to the park. The hottest trend on our catwalk this summer is without-a-doubt, striped pattern clothing. From dresses to jumpsuits, skirts to handbags, everything is stripey and summer ready. This effortless red and white striped City Dress from Next, caught our eye this year. Hemming in at the waist, this flattering button-down midi is a must have for any event at just £35.00. Lets hear it from the boys, or really let’s see it with these statement shirts. This year’s Fashion Show Weekend featured men in patterned shirts, a refreshing change from the plain tee’s we usually see. Our personal favourite was the Navy Pineapple T-shirt from Topman pricing at just £18. This stylish tee proves that while pineapples may not belong on pizza, they certainly do on shirts.